YWP-ZA runs conferences every 2nd year (odd years) and also generate programmes at WISA biennial conferences, which occur on even years. Make sure December 2017 is marked in your calendar or inspire your younger colleagues to attend! 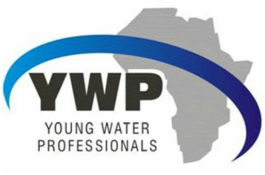 The 8th International Young Water Professionals Conference will be held in Cape Town, South Africa. We are excited to invite you to the IWA International Young Water Professional Conference (IYWPC), the 8th edition of this accessible and affordable platform for young water professionals at all stages of their careers. This is the water event that bridges the space between science, practice and industry, provides career guidance through tailored trainings, and provides networking opportunities that forge new partnerships. The call for abstracts, workshops and soft skill learning sessions, will be launched in January 2017. Save the Date and start planning your participation now! Our conferences aim to provide a forum for young researchers and practitioners across the water sector to present and discuss their work and ideas. Participants meet their peers within water and wastewater science, governance, engineering, technology, management and other areas of the water sector. The conferences aim to further career development and young professional capacities in a multi-disciplinary environment, encouraging discourse on current and future water concerns. We build on our past successes and programmes to bring you professional and fun conferences that draw young professionals together with big names in the water sector, creating valuable conversations that connect the generations. Check out the 2015 YWP-ZA Biennial Conference! The first SA YWP (now YWP-ZA) Conference in 2010 attracted more than 300 young professionals and was the biggest YWP conference ever held (internationally), making it the most dynamic branch in the world. We are actively starting and supporting YWP branches in neighbouring countries in Southern Africa. The second SA YWP Biennial Conference, held in July 2011, attracted over 400 people. The third conference in 2013 was a resounding success! We are very pleased to announce that a total of 13 countries were represented at the conference, including: Australia, Belgium, Botswana, Germany, Mozambique, Namibia, Nigeria, Rwanda, South Africa, Sweden, Tanzania, Uganda, and Zambia. Individuals from broad range of specialties across the water sector come together for this event: consulting companies, research councils and institutions, universities from around Southern Africa, NGOs, intergovernmental organizations, and regional, national and local government representatives. Such a multi-disciplinary group allows the kind of networking and trans-disciplinary knowledge sharing that the YWP strives to facilitate. The quality of work displayed at our conferences are outstanding and your energy and enthusiasm is always infectious! We strive to provide a range of skills development opportunities at our conferences, such as: presentation and poster review and advice, publications workshops, and networking workshops. If you have any ideas for other types of capacity building events, please let us know! We intend to continue to grow our successes, as a YWP community in South Africa. A very sincere THANK YOU to all of the sponsors, exhibitors, presenters, and delegates that make these incredible events possible! Every second year, we strive to develop interesting and relevant programmes for the biennial WISA conference. The content and activity changes and we welcome input from all of our members as to what topics and activities should be put in the spot light! Please contact the National Committee to send us your ideas or get involved in the process! Of course, you can only attend these programmes if you are registered for the WISA Conference itself, so visit their website and don't miss out! See what's in store for the 2016 WISA Conference below and don't forget to register for this event with WISA! Stay in the loop with International & Regional YWP, IWA & WISA Conferences!